SARASOTA (WWSB) - Dental students from the Lake Erie College of Osteopathic Medicine (LECOM) are offering free screenings and education until 4pm today at Goodwill Manasota’s Mecca location on the North Trail. “This is a visual screening for cancer, for any sort of necessity within their oral cavity--dental education too, we talk about preventative measures they can take," said Shirley Parrado, Director of Outreach. If the students detect any issues, prospective patients can receive care at LECOM’s Lakewood Ranch campus for a third the cost of a traditional dentist’s office. 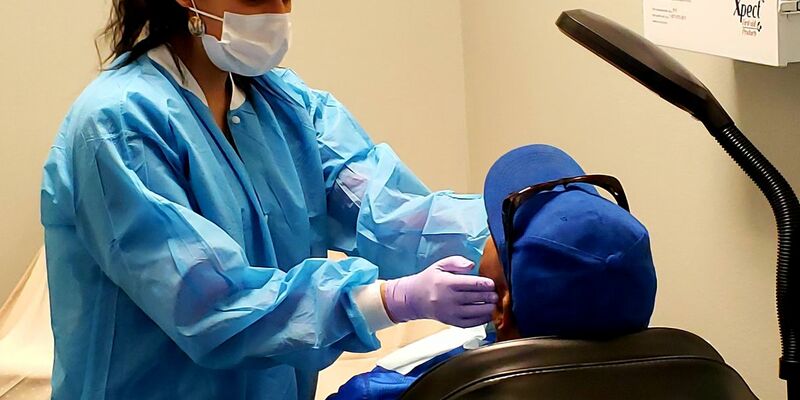 This is the fourth time Goodwill Manasota has partnered with LECOM for free dental exams and education.